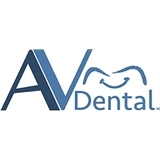 AV Dental (Lawrence Township) - Book Appointment Online! If you’re looking for a reliable dental office around Lawrenceville, NJ and the surrounding areas, look no further than AV Dental. For over 20 years, we have provided gentle dental care for patients throughout the area. New patients are always welcome to our comfortable office for routine check-ups or extensive reconstructive work. Our educated dentists are dedicated to providing you with the best in dental care and giving personal attention to our patients, resulting in beautiful work. It was not as thorough a cleaning as I have had at other offices, but the experience otherwise was very good. I have not had any serious procedures done at this office.